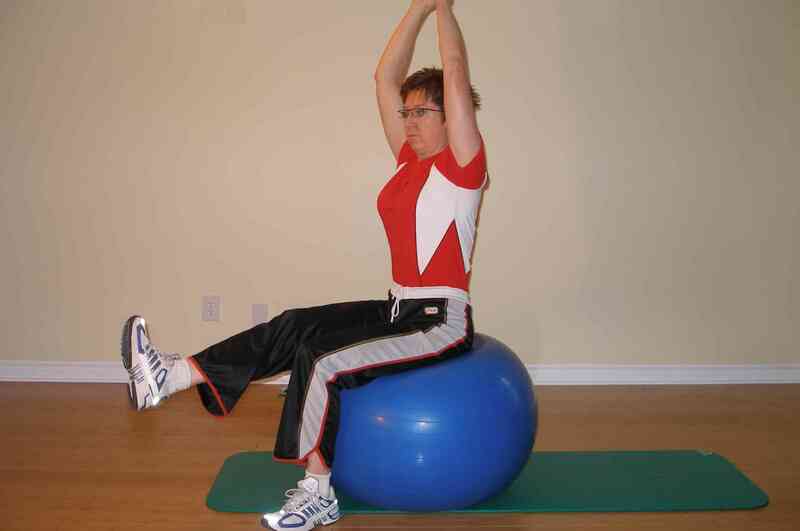 Here is an exercise ball workout for those who have a lot of experience with the exercise ball. If you are new to exercise ball exercises, don't even attempt this workout. Please review the exercise ball precautions and should you feel any discomfort, stop and consult your physician or physical therapist. Click on each exercise below for a full description of the movement along with methods of progression and tips from a physical therapist. If you are finding these difficult, go back to the basics and try the intermediate programs 1 and 2. Feel free to modify each program to suit your training needs, and be sure to change your exercise programs every 6-8 weeks to maximize your training progression. Prior to any strength training it is important to warm up and stretch adequately afterward. You can follow the stretching program I've laid out or follow your own depending on your specific needs. Stretching needs will vary. Use this link to find out more about stretching exercises. Click on each exercise below for a full description, progression, and tips from a physical therapist. This exercise lying on your side biases the muscles on the side facing the floor - the quadratus lumborum, hip abductors, peronei, obliques, etc. 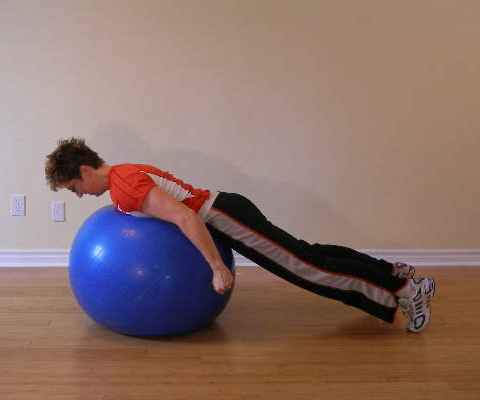 Because you are supine this ball exercise biases the muscles of your back, buttocks, hamstrings, and calves. This is a very advanced exercise that requires very strong stabilizers and a good feel for the way the ball responds to forces you exert on it. This is a very advanced ball exercise and for obvious reasons, inherently riskier. When you first try this, use an exercise mat and a soft ball. Strengthening the hip extensors in an open kinetic chain through these exercises will help strengthen hip extensors as well as your core musculature. 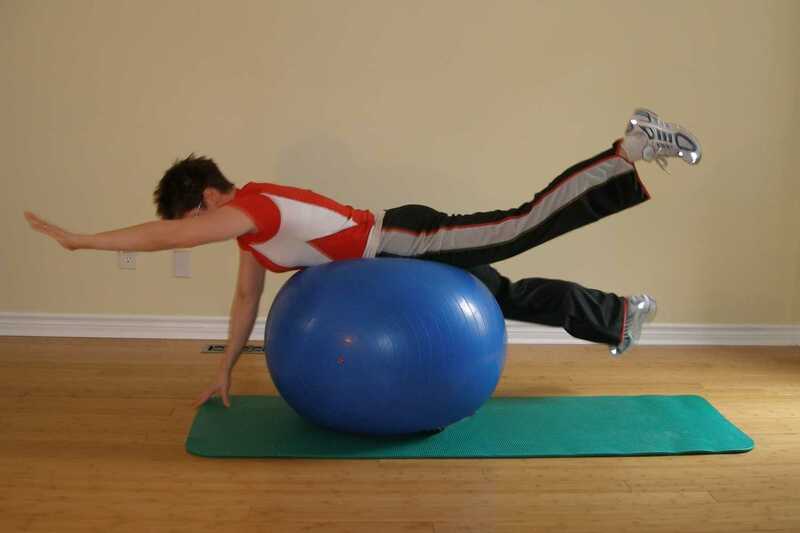 This is a very strenuous dynamic exercise that demands strong shoulders and core. The pushup with feet on the ball is hard. This is even harder as your weight is shifted forward. 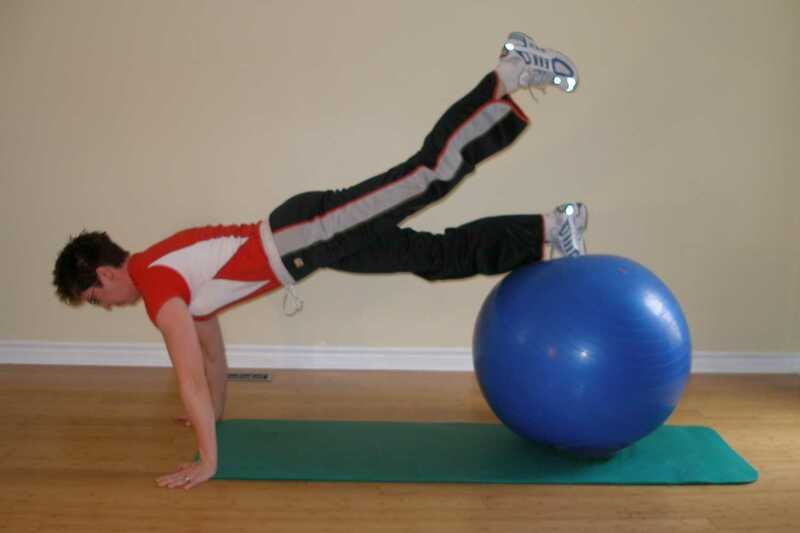 Here is a good exercise in balance and pelvic control. This is a basic abdominal exercise made more difficult by using and unstable surface and moving your arms over your head. Another basic abdominal exercise to strengthen obliques. 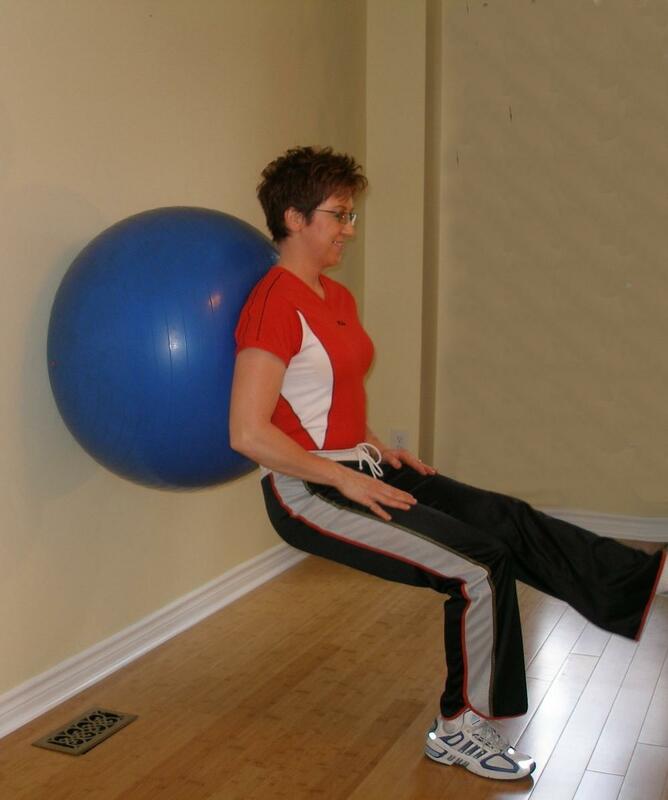 This is a good exercise for hip extensors, pelvic stabilizers and quadriceps. 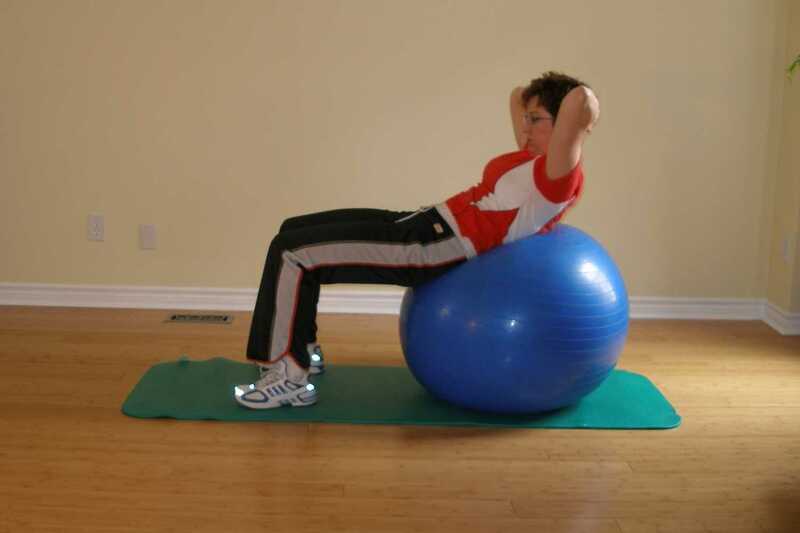 Using the exercise ball helps you maintain good form and posture.